Lead author of the study, Andres L. Paz, describes inhibition behavior as “the ability to stop yourself from a certain behavior.” Paz wanted to look closer at inhibition to predict binge drinking tendencies. Several students between the ages of 18 and 25 participated. Each of the participants was asked to complete three motor response tasks. One task was meant to measure the student’s ability to not respond to stimuli. The second related to the individual’s ability to prevent a response to stimuli once it has already been initiated while the third tracked their ability to ignore distracting stimuli. Students returned every two weeks to complete the three tasks. They also kept digital alcohol consumption logs that helped keep tabs on any binge drinking behavior. At the conclusion of the study, Paz tabulated the results. He was able to count the number of days on which individuals had been drinking when they had been drunk and whether or not they engaged in binge drinking. These findings were cross-referenced with the student’s ability to successfully complete the three tasks. 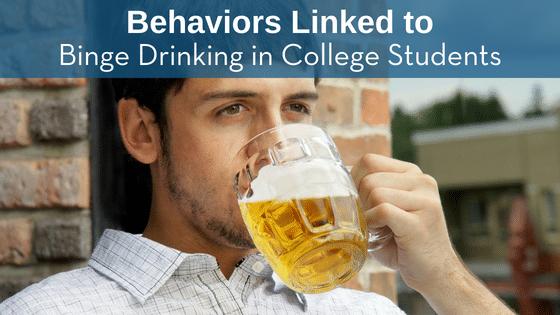 Students who made more errors in the tasks that required them to not respond to stimuli or to prevent an initiated response showed a far greater tendency toward binge drinking. Paz likens the ability to prevent or withhold a response to self-control, suggesting that people who have difficulty withholding a response are prone to binge drinking. Next ArticleIs Marijuana Use Linked to Testicular Cancer?